Looking for more grunt out of your 2.8 Hilux? 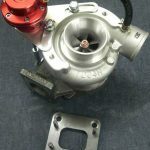 We now have a turbo kit available with 2 options depending on your budget. 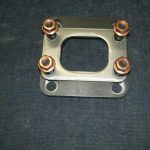 An adapter plate which we have made to bolt to a standard 2Lt (2.4) exhaust manifold to allow you to run our water-cooled Mitsubishi turbocharger. 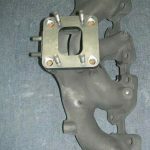 This option means you don’t have to fabricate a new exhaust manifold which is where a lot of the cost comes into it. 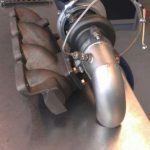 Our same Mitsubishi water-cooled turbo but with a cast exhaust manifold designed for the 2.8 and 3.0 engines. 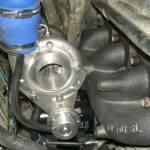 This manifold sits the turbo much lower and further back towards the firewall. 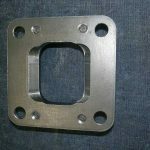 Both options work well and give significant gains when setup correctly.